Zynga has entered into a new partnership with Yahoo!, a strong signal that the game-maker remains committed to taking at least a few of its eggs out of the Facebook basket. 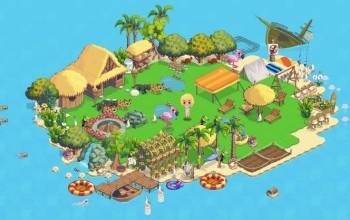 Tensions between Facebook and Zynga had been running high enough in recent weeks that a split between the company behind mega-popular games like Farmville and Treasure Isle and the world's foremost social network started to look like a very real possibility. The two companies ended up signing a new five-year deal last week instead, but a Yahoo! announcement revealing its own deal with Zynga suggests that the casual gaming goliath is still interested in broadening its horizons. The Yahoo/Zynga partnership means people will be able to play Zynga games and update their status from the Yahoo! Homepage as well as well Yahoo! Games, Yahoo! Mail, Yahoo! Messenger and other online locations. Zynga games will also be integrated into the Yahoo! Application Platform, "Yahoo! 's OpenSocial container through which third-party developers can develop applications on Yahoo!" The actual terms of the deal, including who's paying for what and when we can expect to see Mafia Wars updates in our Yahoo! Mail accounts, weren't revealed, although as Gamezebo noted, integrating the two could very easily take months, if not longer: Despite making a similar deal last year, FarmVille remains inaccessible from MSN.